NOW TestoJack 200 is a combination of natural herbal ingredients. 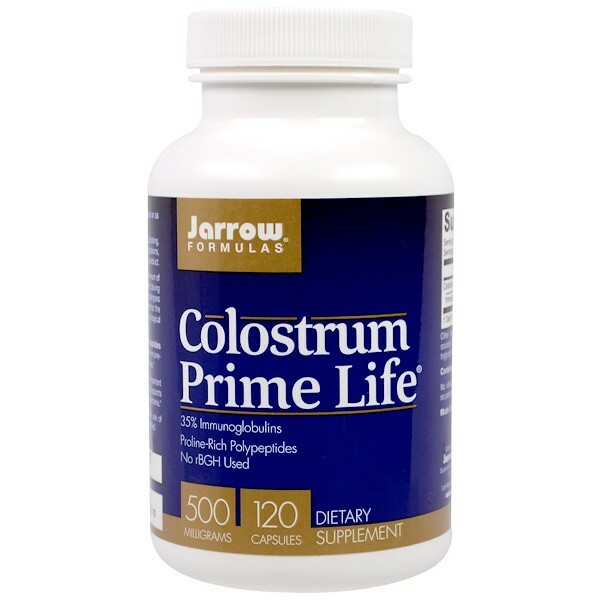 Other Ingredients Cellulose (capsule), magnesium stearate (vegetable source), cellulose powder and silica.Not manufactured with yeast, wheat, gluten, soy, milk, egg, fish, shellfish or tree nut ingredients. Produced in a GMP facility that processes other ingredients containing these allergens. NOW TestoJack 200 is a combination of natural herbal ingredients. With Tongkat Ali, Tribulus, Maca and Horny Goat Weed, TestoJack 200 is a targeted botanical formula. 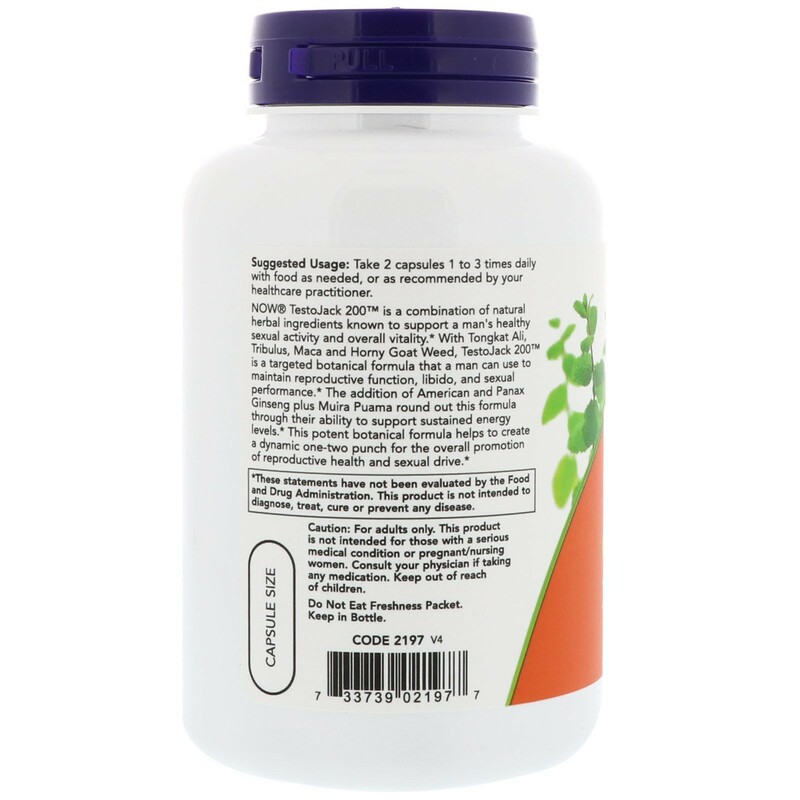 The addition of American and Panax Ginseng plus Muira Puama strenghens this formula. 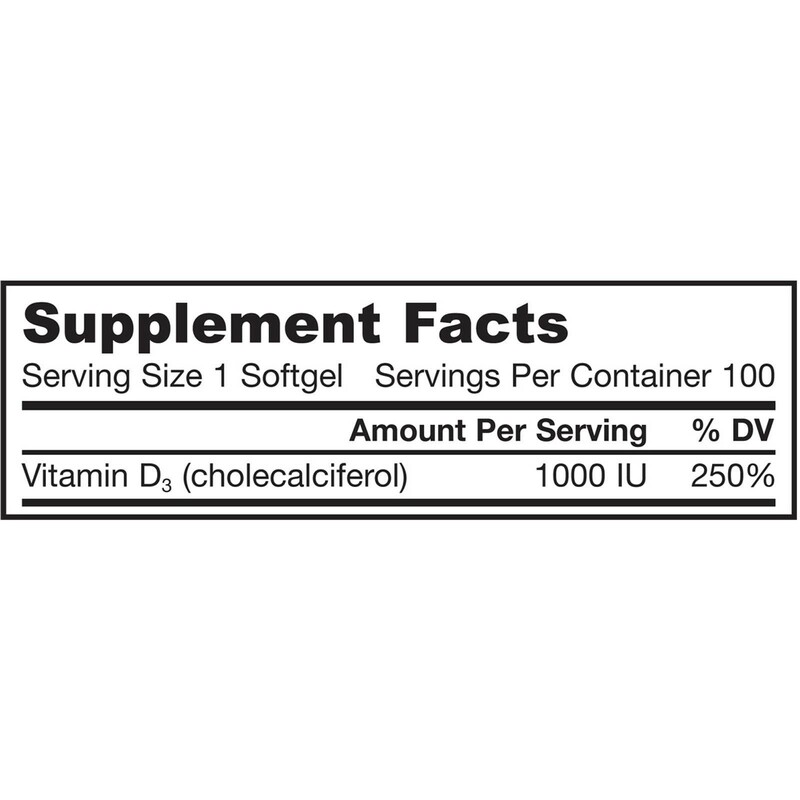 Take 2 capsules 1 to 3 times daily with food as needed, or as recommended by your healthcare practitioner. Caution: For adults only. 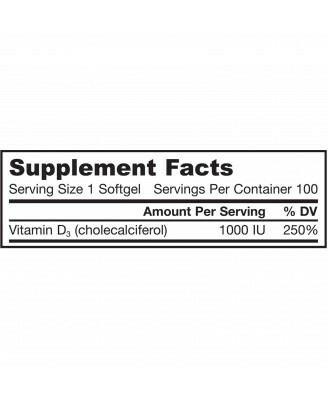 This product is not intended for those with a serious medical condition or pregnant/nursing women. Consult your physician if taking any medication. Keep out of reach of children. Keep in bottle. Natural color variation may occur in this product. Store in a cool, dry place after opening.